With AFCON just hours away, Salim Masoud Said provides a quick helicopter view of the tournament. It’s not often that the team that is fancied as the favourite walk the walk. Although Ivory Coast are being tipped as favourites, there’s probably never been less confidence in a favourite in recent memory. This is perhaps the first tournament in a long while where the majority of the teams can feel they have a chance – the leading pack, and we’ll put Ivory Coast, Ghana and Algeria in that group, all arrive to the tournament with issues. 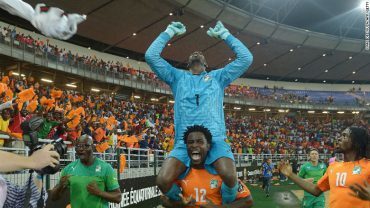 Ivory Coast have shed some significant experience, and within that a bona-fide great in Yaya Toure, and the loss of ever-inspired Gervinho to injury has added issues to an attack that has, for myriad reasons, become somewhat blunt. Ghana are grouped with Uganda, a bogey side they’ve not won against in their last 3 meetings since 2014, and an Egypt side they recently lost to in the World Cup qualifiers. Located in the tougher half of the draw, they will have to work harder to continue their recent tradition of sleep-walking to the semi-finals at least since 2008. Algeria come into the tournament with a brand new, pragmatic coach when they sacked the previous one partly for his approach, and they have the weakest defence out of the contenders. In the lower half of the draw, the likes of Algeria, Senegal, Tunisia and hosts Gabon have a great chance of making it to the semi-finals without having to face teams with intimidating recent histories. Cameroon have a richer history than the aforementioned three, and should be in the running, but the last-minute pull-outs, especially of Aurelien Chedjou and Allan Nyom, two of their usual starters in their back four, doesn’t bode well for their prospects. The major nations in Africa, and even the mid-level teams, have fantastic home records, insofar that their long-time unbeaten records don’t provide much indication of their true quality. Cameroon, despite the fluctuation in quality in the last decade, haven’t lost at home since 1972. Cameroon and Algeria came into AFCON 2015 with all guns blazing only to fall away early. It will come down to how these teams perform against each other in a neutral environment (asides from hosts Gabon, of course). Following on from the above, if you’re hard to beat you’re always in with a chance of doing well. It’s certainly better to have problems in your attack than problems in the structure of your defence. Burkina Faso’s memorable run to the semi-final in 2013 saw them only win one game in 90 minutes, and that came against an Ethiopian side down to 10 men. That should be an inspiration to the middle-of-the-road sides. Conversely, the tightening of Ivory Coast’s backline in 2012 and 2015 solidified them and saw them reach the final. We live in the age of over-analysis, of reading so much into results that epitaphs are written based on one result. We’re always treading the fine line of defenestrating sides or hoisting them as sure-fire champions-elect after Matchday 1 results. If they play well, A-HA! We were right all along! They’ll be champions! If they play badly, or lose, A-HA! they won’t make it out of the group stages! They won’t win the tournament! In 2013 Nigeria drew their opening game, with eventual fellow finalists Burkina Faso, and stumbled past the group stages. Ivory Coast in 2015 also drew their opening two games; runners-up Ghana lost their opening game. Egypt in 2010 were an anomaly in the sense that they never really stuttered, but it’s completely normal not to have an excellent 6 games. It’s just that we tend to remember the glow of triumph rather than the struggle that gets teams there. The Twitterati seem preoccupied with debating whether the tournament is entertaining or dull rather than just – and I’m going to sound like Louis van Gaal here– enjoying the process of watching it unfold. Perhaps, personally speaking, my over-investment in watching African football makes it nigh impossible for me to find a game boring, but why not just enjoy the game? If you find the football boring, switch it off. My father, in typical African Dad version, always used to say that if you want entertainment you should go to the cinema.